Sexual Harassment: This is kind of a no brainer. Once so many celebrities are involved, the public pays attention, even though it’s an issue that has deserved attention for decades. Despite gender discrimination laws (the law from which the prohibition of sexual harassment is derived) being in effect for more than half a century, the problem obviously still exists, even in its most ridiculously blatant forms (hello, Matt Lauer), and hopefully the time has come where our society finally says “no more.” While legal prohibitions to this behavior in the workplace haven’t solved the problem thus far, the key is clearly workplace training. Equal Pay: This issue is cousin to sexual harassment in that it too is rooted in gender discrimination. The vestiges of unequal pay based on gender persist, although today they more likely result from lower pay history. Where traditionally one gender has received lower pay in a job than the other, the lower pay history artificially lowers current pay for workers of that gender because employers often make salary offers to job candidates based on that applicant’s pay history. Why pay $60,000 when $50,000 will do the trick? Several cities and a few states so far have outlawed employers from inquiring about salary history from job candidates. Especially with the focus on gender empowerment in the workplace, this trend will likely continue. Affordable Care Act: Did Trump’s tax reform really put an end to the ACA as he claims? What will happen to the employer mandate now that the individual mandate is gone? The ACA repeal remains an important agenda item for the Republican Party. 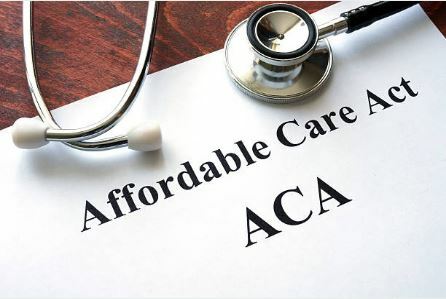 This year we will see whether abolition of the individual mandate kills the exchanges and what employers’ responsibilities for health insurance for their workers will be as the country heads towards mid-term elections. Overtime Rules: Employers thought this was all said and done when a Texas court put a halt to proposed new overtime rules in November 2016. Since then, though, the Department of Labor issued a Request for Information last July, which it says will result in its issuance of new proposed rules on overtime this Fall. Look for these proposed rules (which will still need to go through the public comment process before they are finalized) to set the salary threshold for white collar exempt workers somewhere between the current level and where it was set under the nearly enacted Obama-era rules. We will likely also see changes to the duties prong of the test as well in these upcoming rules. Fair Share Union Fees for Public Employee Unions: As readers recall, the Supreme Court was set to rule last year on the issue of whether requiring public employees to pay fair share union fees is unconstitutional. As a reminder, fair share is the amount that unions charge workers who are in a job title represented by the union even if that worker affirmatively chooses not to join the union, on the basis that those non-members still benefit from the work of the union. When Justice Scalia passed away last year, the court ended up in a tie on the issue. With Neil Gorsuch on the bench now, the court will likely find that these fair share fees violate the constitution and will be prohibited going forward. The real question is-where will that leave public sector labor unions, such as AFSCME and the like. Some unions are trying to stem the tide of membership decline by including a provision on their union dues deduction card that an employee can only drop out of the union once a year. The idea, apparently, is that if these unions can convince employees to sign a card once, those same employees will probably forget when their window to opt out is, or will just grow accustomed to being a union member and won’t question their status. This tactic will also prevent a bargaining unit from becoming so disgruntled with their union representation that they just drop out of the union en masse, leaving the union with all of the responsibility but none of the income. It will be certainly interesting to see how public sector unions respond to the change of landscape.